I’ve now had my test Fiat 500e for a month. The quick review is–I love it! This image tells the statistical side of the story. I’ve traveled 821.6 miles, in 37 hours and 52 minutes of commutes and short errands.. My average economy is 128.1 MPGe. The official numbers are 121 City, 103 Highway, for 112 Overall. So, I’ve beaten the numbers. From the comfortable leatherette and cloth bucket seat, the car is everything I’d hoped it would be. It’s incredibly quiet, whether I’m on the freeway or side street, and seemingly regardless of surface. There is practically no tire hum or wind noise, and the car’s excellent insulation prevents most ambient noise from disturbing the serenity of the cabin.Of course, electric motors don’t make any significant noise other than a slight whine during acceleration, and are vibration free. Inside, the audio system did a great job of entertaining me, with no-look fingertip controls on the back of the steering wheel making a shift of medium, volume, or station effortless. I used the hands-free dialing feature for a couple of phone calls, and it worked OK. Today, I had to nearly yell out a phone number to my local pizzeria, but the call went through. The electric motor pulls the car along with surprising enthusiasm, although I’ve been careful to keep the color-coded curved bar on the right side of the central gauge in “Eco” territory (green) or Charge (blue). I think the hundreds of pounds of battery mounted low in the car increase its stability, because it corners flat, and there’s no noticeable dive or squat during braking or acceleration. It feels quick and light on its feet. It may not seem very manly, but the bird’s egg blue paint and significant stretches of white in the interior make the car pretty and cute. That may not be for everyone, but I love it. It feels happy to me. I’ve gotten into an easy routine with charging. I use one of the six Level 2 (240-volt) ChargePoint chargers in front of my building at work, and it takes two or three hours to top off the battery. I then pull the car away promptly, leaving room for another of the approximately 15 people at my office who drive electrics. There are three Fiat 500e’s, including another blue one (but he has black trim). The other one is a brilliant orange–probably my second choice. I share the six slots with Teslas, Ford Focuses, a Chevy Volt or two, and at least three Nissan Leafs. I also charge at home, with a cable tucked under my garage door to the car, which I back into the driveway. Someday, my garage may be clean enough to accommodate the car–if I’m lucky, during this extended loan period. Even though it takes many hours to fill up, it’s normally time I spend in the house, relaxing with the family, writing, or playing music (or sleeping). I’ve gotten more relaxed about charging as I’ve learned what my limits are and what to expect on my trips. So, if the car has 45 miles or range on it, or around half a charge, I’ll wait and not plug it in at home that night, planning to just charge it all up at work the next day. So I’m not bound by having to charge every time I park it. I have had to use our gas car for a couple of longer trips, but otherwise, the 90-mile range of the Fiat is just right for everything else I want to do. The hatchback configuration means I can carry my big upright bass or my electric bass and amplifier. I can’t take both, though. In the next two months, I expect more of the same. I plan to meet up with electric car enthusiasts as much as I can. So far nothing has materialized, though. I got, and proudly wear, my FIAT hat! The little Fiat is happy in rain and in the dry weather. I haven’t felt like it was pushed around by storms, although I felt bad a few days ago when I opened the door and a blast of rain wetted the dashboard, door panel and floors. It wasn’t too bad, but it sure felt like it. My new friend at work, Moris, says Italian cars are the most beautiful. I will say that Fidelio is not the most dramatic or glamourous car, but his details are well sorted out and he successfully evokes the original car. Here’s the morning dew on the silvery tail logo. Almost like an impressionist painting! This entry was posted in cars, Electric car charging, electric cars, Fiat 500e, fuel efficiency, green cars, Uncategorized and tagged BEVs, carbon footprint, ChargePoint, climate change, Electric car charging, electric cars, electrics, Fiat 500e, fuel economy, global warming, green cars, plug-ins by stevegoesgreen. Bookmark the permalink. Steve – would you explain for the uninitiated exactly what a MPGe is? Hard concept to grasp. I like the dash on my i3 which tells me miles per kWh (I average about 3.5). I too charge at work because we have a L2 charger. I rarely charge at night because the 110v supply makes it sooo slow. Unfortunately this is not what the utilities envisioned when they started promoting EVs. The mantra was charge at night when we have excess capacity. I also worry about the day when more employees have EVs then available daytime chargers. I don’t think most companies will try to keep up the demand for chargers once EV adoption starts to take off. Enjoy reading your blog. Keep up the good work. Hi, Carlo. Thanks for responding to my post. 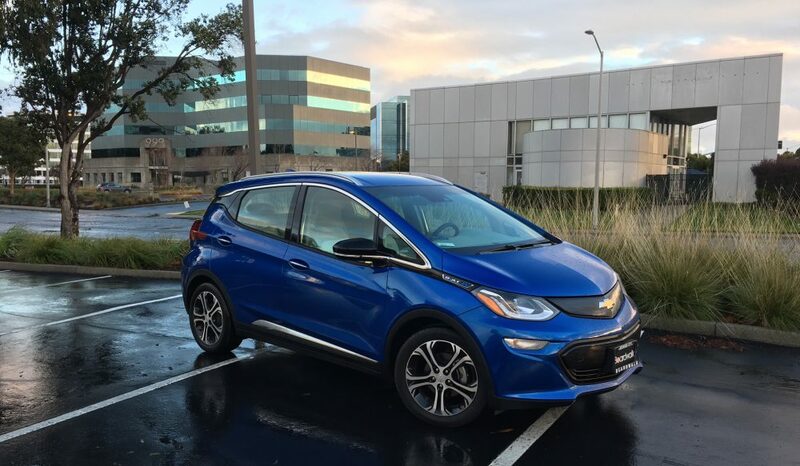 You’re right–we do need to explain MPGe, so I’m writing a new post to do just that.